While this may not quite be Ferrari or Lamborghini territory, $100,000 opens a lot of doors for the discerning sports car enthusiast. If you find yourself in the happy position of having a spare $100k for your next car purchase, consider some of these options and let us know if we’ve missed any. 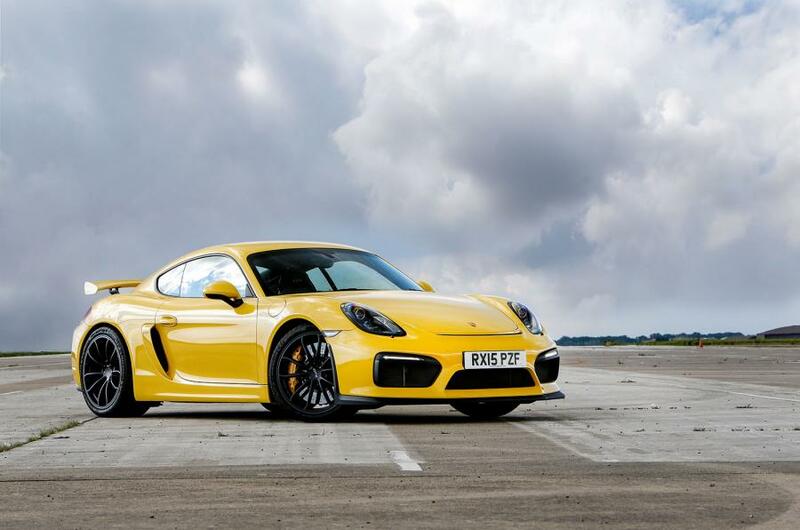 The Cayman GT4 offers track-day performance with mid-engined handling that’s not to be sniffed at. 0-60 in 4.1 seconds comes courtesy of a 911-derived 3.8l sitting mid-ship, while the handling is helped massively by a lack of heft, making this poised sports car a fantastic choice for track days or empty back roads. Sadly, the initial run of 2,500 GT4s sold out – controversially – before it was even released, and 2nd-hand examples are now running well above the initial asking price of $84,000. If you’re still looking for serious mid-engine thrills and prowess in this price bracket, the standard Cayman won’t disappoint. Despite the new 4-cylinder turbocharged powertrain, the Cayman S still offers up to 345bhp and 420Nm of torque, allowing it to monster the 0-62 sprint in 4.6 seconds. With an earth-shatteringly thunderous soundtrack and an appetite for rear tyres like nothing else in its segment, the C63 has been the last work in lairy for a couple of generations now, providing a more wayward alternative to the M3/4 and RS4 provided by the other big two German manufacturers in the exec space. The 7-speed gearbox transmits the power of 469 horses from the twin-turbo 4l V8 to the rear wheels and up into the ether, as rubber is shredded in the pursuit of noise, smoke, and ultimately fury. 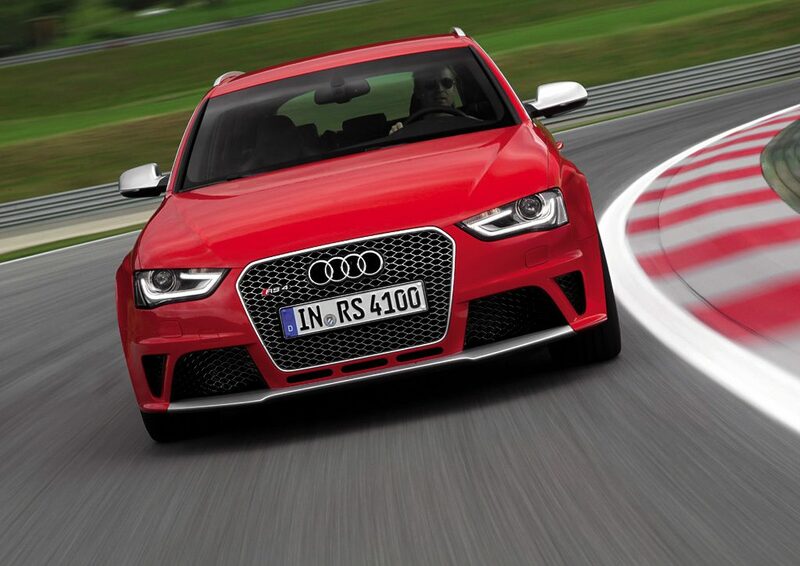 If you’re really angry, throw an S on the end and enjoy the wrath of a full 503bhp. Germans? Efficient? Not in this case. 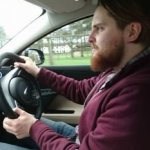 Case in point: things got a little dizzying when current Formula One world champion Lewis Hamilton got behind the wheels of a C63 AMG Medical Car back in 2008 – an experience which eventually led him astray. 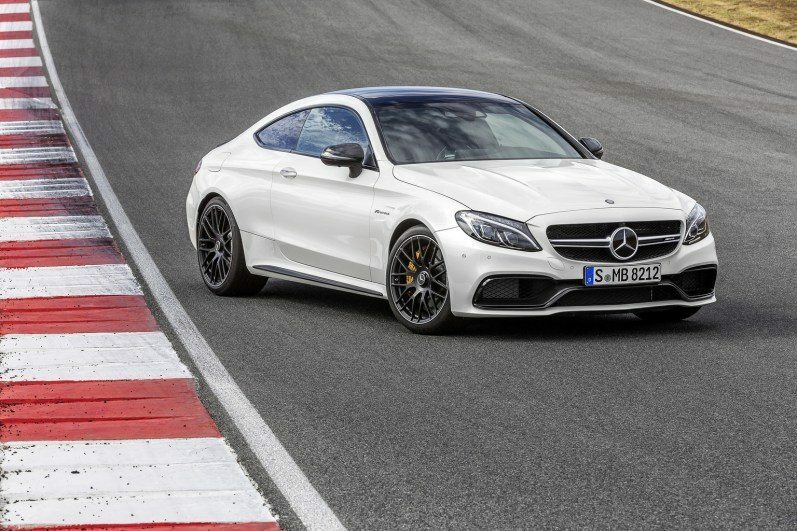 C63 AMGs can be a powerful influence over anyone… nuff said. Up to now Audi haven’t brought their super-estate stateside, meaning you’d have to turn to Mercedes if you’re in the market for something with plenty of thrills and space for your skis. However, fast Mercs are renowned for having quite lively tails – 500+hp and rear wheel drive are great on dry roads but the last thing you want on an icy ascent to your winter retreat is a loose back end. Audi’s solution is simple – keep the power output nice and high but add Quattro 4-wheel-drive to the mix for extra security when the going gets slippery. With the B9 RS4 Avant rumoured to be hitting US dealerships next year with a twin-turbo V6 producing something in the region of 480bhp, it could just be the perfect sub-$100k “lifestyle” vehicle. Despite recent hardships, that’s the feeling that’s permeated the perennially-small-but-plucky UK marque since they were founded in 1952 all the way through their current range. The Evora 400 may be at the upper end of the price range we’re looking at here, but that doesn’t mean it should be overlooked. You’d do well to find a sharper-handling car. I don’t just mean for sub-$100k, I mean anywhere. 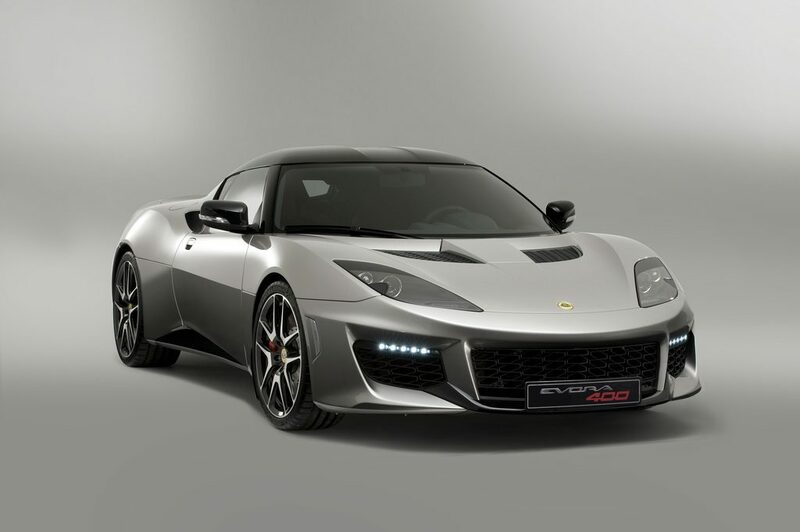 The Evora is the second of three mid-engine sports cars on this list, but it thrashes the other two on power – a full 400bhp from the Toyota-sourced 3.5-litre V6 endows this mega-mosquito with a 0-60 time of 4.3 seconds, and the ability to embarrass rivals twice its price in the corners. Lexuses (Lexus’? Lexii?) have traditionally been at the comfier end of the spectrum – a relaxing pair of slippers as opposed to super-lightweight running shoes. The RC/F aims to change that – and with a 5-litre V8 pumping out 467hp, it would be nonsense to try and call it a slouch. While not entirely athletic ( it tips the scales at 1765kg – no feather in anyone’s book ), it still manages the 0-60 sprint in 4.5 seconds and will whisk occupants on to a top speed of 168mph, while swaddling them in absolute comfort, in a cabin with build quality that’s hard to match this side of a Rolls Royce. Don’t let the bonnet vents, or the option of striking black-on-orange paint fool you – this is no track-day special. But if you’re doing regular journeys of 500 miles-or-more, I can think of seldom ways more comfortable to do so than the RC/F. One thing American manufacturers have always been good for is bang-for-your-buck – and I’m certainly not talking about fuel economy. 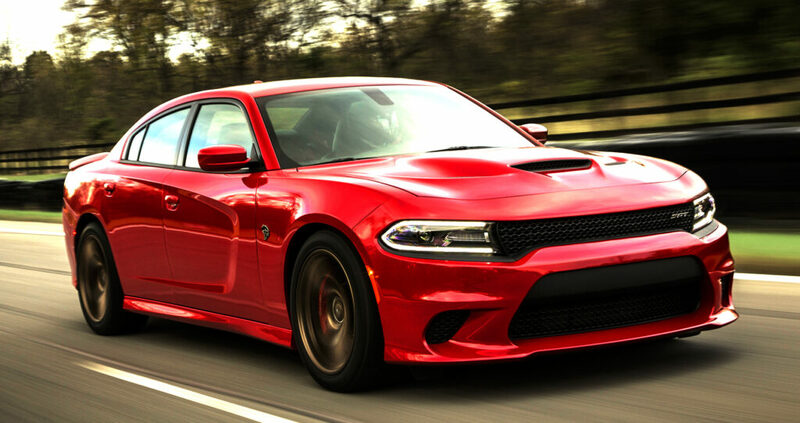 The Dodge Charger Hellcat is the perfect slice of ol’ fashioned V8 muscle, putting an earth-shattering 707bhp and 650lb/ft of torque through its rear wheels thanks to a 6.2l Hemi. That gets you from a standstill to 60mph in just 3.4 seconds, if you can keep it in a straight line while the tyres are annihilated. Very few things are quicker for the money, and included in the package are 4 doors and a sizeable saloon boot, so the whole family can have their organs rearranged. While it may not be a refined, finessed, lithe sports-saloon, like some of the German offerings on this list, the Hellcat allows access to the sort of insane power usually the preserve of full-on supercars – plus it has the name Hellcat. I mean, come on, Hellcat?! The astronomical power figure is just that – a number – but I can think of few things that get the adrenaline pumping more than a car called Hellcat. The 4C is Alfa’s entry to the mid-engine, mega-light sports car class, and as befits the company’s heritage, it doesn’t disappoint. Power-to-weight is the key here, the old less-is-more adage providing the philosophy for the most important Alfa Romeo for decades. Impressively, the Alfa’s kerb weight is kept to a tiny 925kg meaning that it makes the absolute most of its 237 horses. The 1.7 four-pot helps keep the engine weight to a minimum, while contributing to claims of economy figures approaching 42mpg – unheard of for a car in this category. And just look at it. 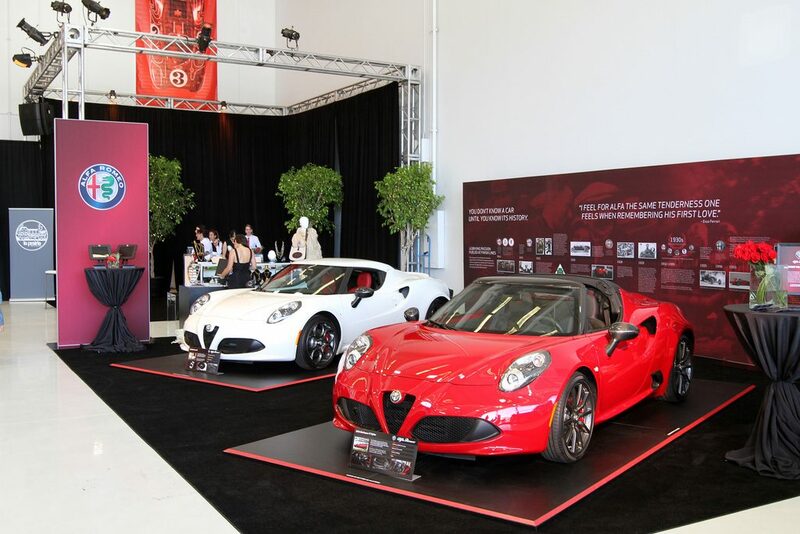 If this list were based on looks alone, the $67k Alfa Romeo 4C would be a clear winner. Many would argue that the Brits invented the sports car. Two seats, front-engined and rear-drive? It owes a hell of a lot to the TVRs, Triumphs and Jaguars of old. But what happens when a British sports car manufacturer retraces its roots and builds a 21st-century interpretation of one of the most iconic cars of all time? 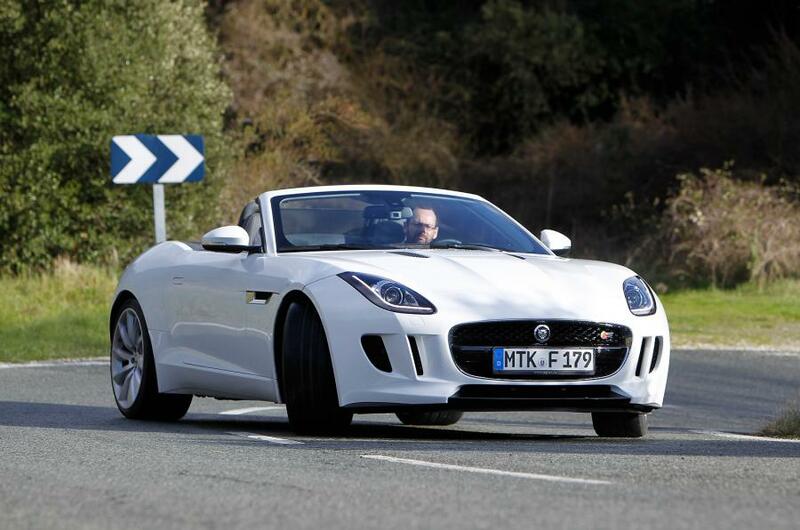 Enter the F-Type – Jag’s long-awaited follow-up to the stunning 1960s E-Type. While you can get behind the wheels of one of these for around $60k, the pick of the bunch is reputed to be the V6S – around $80,000 in hardtop manual trim. This gets you a 3.0-litre V6 turbocharged engine putting out a meaty 380bhp and 339lb-ft of torque which – when paired to an all-aluminum chassis which Jag claims is one of the stiffest they’ve ever produced – comes together to create an impressive back-road weapon. We can’t talk sports cars without mentioning BMW. They pretty much invented the sports saloon segment with the 3-series and latterly the M3. While there’s no disputing the current M3’s ability, the BMW that excites the most in this segment is the new young pretender, the M2. A bargain at $52,000, the M2, when placed alongside E46 M3s, is almost identical in dimensions – testament to the growing size of cars over the years. 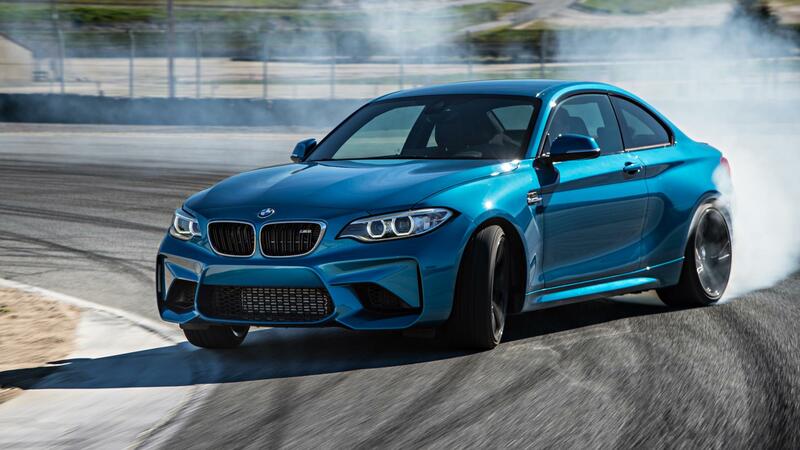 This means the M2 is arguably the more focused car of the Munich manufacturer’s current offering, doing away with some of the weight of its big brother and returning more smiles-per-mile as a result. 0-60 is dispatched in 4.3 seconds, thanks to the 3-litre, 6-cylinder power plant up front – arguably giving a more pure experience than the M3’s turbocharged offering – producing 365bhp and 369lb-ft of torque from a barely-idling 1450rpm. And you thought we’d forgotten it, didn’t you? The Porsche 911 has been sports car-ing since before the majority of this list was even a doodle in the back of a designer’s childhood maths textbook. The rear-engined 911 has been setting the benchmark for sports cars since 1963, while going against the grain in terms of engine placement. If you’re very careful with the options list, you could own a 911 Carrera for a tad over $90,000. While hanging the engine out the back put this Stuttgart stalwart at something of a disadvantage when it was introduced, Porsche have incrementally improved and refined the formula for arguably the most recognizable car on this list to a point approaching perfection. Porsche purists will scoff at this most recent incarnation of the car’s turbocharged power plant, but 365bhp will still go a long way to giving the devout petrolhead serious thrills. 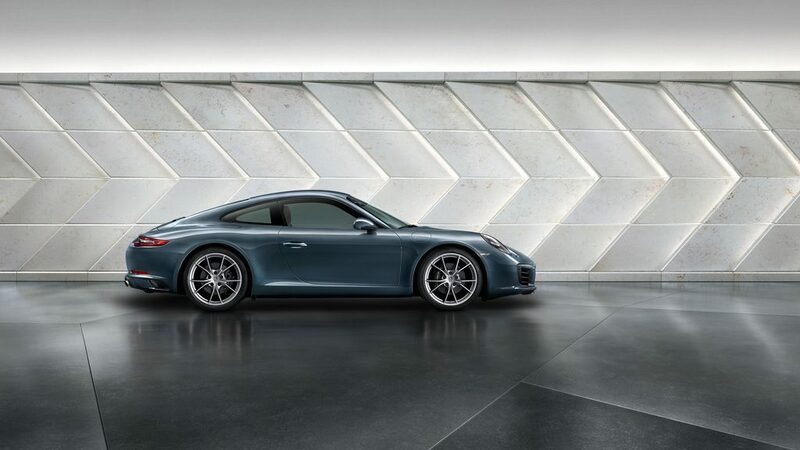 I don’t envy the 991.2’s position in its family line – who’d want the pressure of having to live up to 53 years of evolution and sports car perfection? If I had the money, I’d have a hard job deciding on any one of the cars on this list! If you had a budget of $100k, what sports car would you buy? Let us know any we missed in the comments below!